We loaded the kids into the car this weekend and headed off to Fredericton to check out the Occupy New Brunswick demonstration. It was a great opportunity, we thought, to show the kids some live history in the making, without having to drive to New York. Along the way I mentally reviewed a few ideas for this week’s column. My editor had suggested writing about Question 2 on the upcoming Maine ballot. Apparently, the government down there is floating the idea of building a horse track and slot machine “racino” in Washington County. I was leaning toward writing about the Occupy movement in New Brunswick. 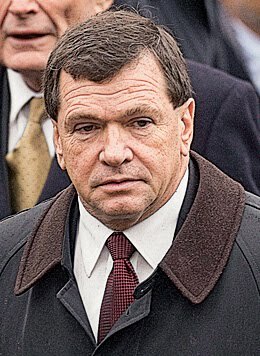 It turns out that Frank McKenna is the New Brunswick connection. Frank, our former premier, is now the chair of an outfit called Brookfield Asset Management, which just happens to own Zuccotti Park in New York City, where the Occupy Wall Street protesters are camping out. Coincidentally, NYC Mayor Michael Bloomberg and Brookfield planned to clear out the park for “cleaning” that Saturday. But, reacting to a storm of complaints about the plan, they decided to call it off. It’s not hard to conclude that both Bloomberg and McKenna represent the top 0.1 percent income group. Bloomberg spent literally millions to for the privilege of becoming the mayor of the Big Apple. But what about McKenna? Well, in addition to being the chair of the $120 billion Brookfield outfit, Frank is currently the deputy chair of TD Bank Financial and is a director of both the CD Howe Institute, the famous Canadian business think-tank, and Canadian Natural Resources Limited. In addition to having been Canada’s ambassador to the U.S. he also sat on the boards of GM Canada, Xstrata (formerly Falconbridge–Noranda mining), FNX Mining Company, Major Drilling Group International, Acier Leroux (steel), AMEX Americas (engineering, including mining), UPS, Shoppers Drug Mart Corp., and CanWest Global Communications. He also was a director of the infamous Carlyle Group, the Bush family–affiliated investment company that was representing the bin Laden family prior to the 9/11 attack. So Frank seems to be heavily associated with international high finance and natural resources, but that’s not such bad thing. Or is it? In case you didn’t get it, that’s code for minimizing government oversight on “complex” electronic payment networks—which is exactly the type of thing that has led to the recent financial collapse. In other words, the CD Howe outfit, which has some influence on shaping government decisions, seems to be promoting a “hands off new finance” government policy. Meanwhile, Frank’s other current interest, the innocuously named Canadian Natural Resources self-described as “one of the largest independent crude oil and natural gas producers in the world,” is an energy company with big interests in the western Canadian oil sands, which also happens to be one of the world’s dirtiest megaprojects. Of course the oil sands project is directly linked to the controversial Keystone pipelines which will run from Alberta to the Texas gulf, and which, if completed as planned, would supply over 1 million barrels of oil to the U.S. a day—fully 5 percent of its total petroleum consumption. It’s no understatement to say that these projects are of great strategic importance to the top 0.1 percent of the population that has a financial interest in such ventures. So how does that connect to the rest of us? Well, it doesn’t really, other than we’re the end customers. Oh, and that guys like Frank have undue influence on government decision-making, which tends to drive even more profits—and power—into the hands of the few. Which is, coincidentally, what the Occupy movement is all about. And how did this New Brunswick connection link to the Occupy New Brunswick event? Not at all, as far as I could tell. The event, when we finally found it, was more like a concert in the park with loud music, a few generic placards and a handful of built-on-site cardboard tents. And what about the proposed racino just south of the border? It’s just another ill-conceived attempt to raise government money by voluntarily taxing the poor through legalizing gambling. Billed as boons to tourism, these ventures have been social and economic disasters in other “have-not” regions such as northern Ontario. But it’s a great strategy if the idea is to shift government fundraising from taxing the wealthy to addicting the poor to gambling and false hope. One wonders how things got this far out of whack. We might ask Frank. Better yet, we might ask ourselves how we allowed so much of our government to be handed over to private corporate interests. Art MacKay: Guess that puts it in perspective! Gerald McEachern: You can't have read the whole piece that quickly...! Art MacKay: Right but Frank's role hasa been rolling around the web for a little while. Art MacKay: I'll read the column later ... promise! Donna Ross: It's not so much how, but why we have allowed gov't to be handed over to private corporate interests. Also, I am too strong a believer in personal responsibility to ever blame a gov't (or anyone else) on addictions. Gerald McEachern: Ah, but the power of our inventions can be overwhelming. For example, our entire civilization is addicted to fossil fuel. I don't know anyone living without it. And it is an addiction. So where's our personal responsibility in that? Yes, personal responsibility is important. But sociological tides are far more powerful. Gerald McEachern: And I do agree with the "why" aspect, which is what I'd originally written. But I think we can all sort out why. The question now becomes "how?" Donna Ross: How do we take back the gov't ? I'd like to see some sort of system to enforce mandatory voting. Not sure how to stop the rich from buying our gov'ts. Political parties have to be funded somehow... maybe if there was a cap on spending. What are your theories? Still don't buy the sociological tides. If that were the case, you and your family would still be watching TV. :0) I guess we all choose our 'addictions'. Gerald McEachern And campaign spending caps of course, but we already have those. Gerald McEachern Well, town councils already work like that. And we keep forgetting that the process of elected government is to democratically protect our freedoms and to enact legislation that will carry us safely into the future. We have a whole hired government administration to actually implement and do the work. And yet these lines are consistently blurred...most likely by competing party ideologies. Gerald McEachern As to the cost of public funding, it would, I suggest, be a lot less than the creation of expensive, boondoggle legislation such as the long gun firearm registry or Harper's new tough on crime, prison building and Internet spying legislation. Gerald McEachern No, a per candidate allowance. As to bought councils, it's a real problem. This has to be rooted out and done away with. For example, here in St. Andrews, as I think I've mentioned, a tenth of the annual budget comes from private donations (unspecified, but I suspect the Flemers and the Dunn Foundation). Michael Sobota This is a great piece. What I love about your writing is it's grounded in real experience, often family, and then quiet, simple and accessible analysis. I've been thinking about some practical things we (each of us) can do, wherever we are in Canada. Simple steps: 1.buy local. That is, where you can find them, support independent small businesses, when you have to make purchases. This is particularly important for our food producers. 2. Purchase less. There is an economic melt-down coming, I am fairly certain. So watch personal debt. 3. I have mulled this over and I am coming out entirely in support of this: if you bank at any of our major Canadian banks, close out your accounts and transfer to local credit unions or casse populaire. Our banks will react with a vengence (they have huge marketing engines that publicize their good deeds, support this walk for cancer or AIDS, or staff knitting socks for a local shelter house). But my experience is that credit unions are community builders daily, not merely for special events or marketing purposes. For many, this will be a very tough decision.